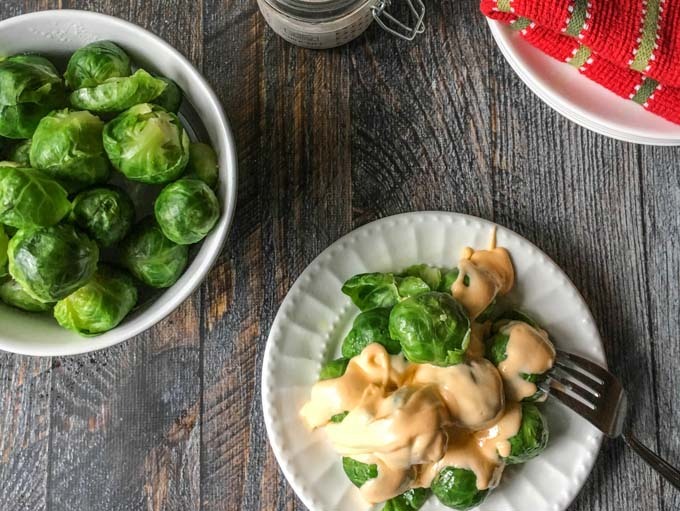 These low carb cheesy Brussels sprouts are a delicious side dish that your whole family will love. Only 4.3g net carbs per serving. When I was in college, my roommate Liz loved to eat frozen vegetables. I know that’s unusual isn’t it? Even if we had a late night out at a party, we would fire up the frozen veggies when we got home. She was a good influence that Liz! Anyway, I used to love frozen cheesy Brussels sprouts and in all the years since college I have never made them from scratch. I was thinking this would be a good low carb side dish and well to be honest I just wanted some. Surprising my hubby really liked these and I loved them. I can’t wait to make them again. I am a Brussels sprouts fan. They are tasty and good for you. 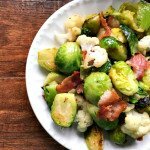 I have few recipes on my site like lemony Brussels sprout chips, Brussels bacon and cauliflower and cranberry Brussels salad. We even tried growing them this year in our garden and while they looked cool on the stock, they didn’t grow very big. Much easier to buy this vegetable. 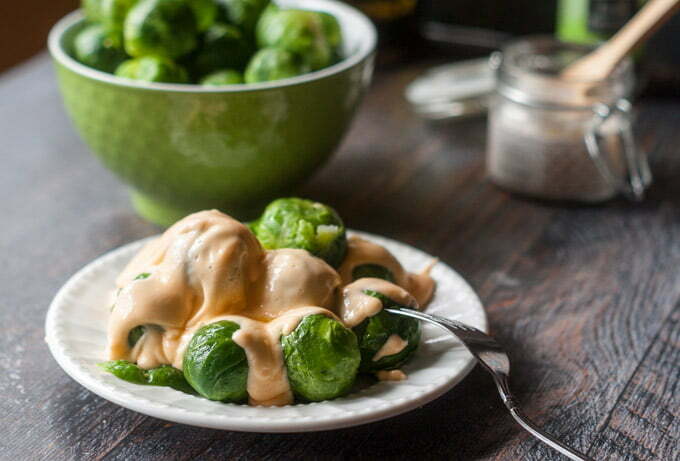 The cheese sauce is simply cream cheese, cheddar cheese, cream and butter. I didn’t want to make a rue using flour because I wanted to keep this low carb and gluten free. The cream cheese made it very thick and rich. You can thin it out if you like by adding more cream or water but I liked it like this. 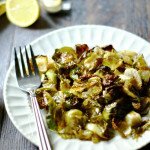 I used fresh Brussels sprouts from Aldi and they were fantastic. You could probably use frozen but since they are in season right now, I would recommend that you buy fresh. They were so good; they tasted a bit like artichoke hearts to me. I use this microwave pot all the time to steam my veggies. 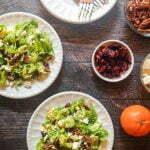 It’s so much easier to saute or roast veggies when they have been precooked in the microwave. I bought it at a Pampered Chef party and I really like it. Clean and then steam your Brussel sprouts for 5 minutes in the microwave. Meanwhile in a sauce pan, add your butter and cream cheese and mix until melted. Then add your cream and cheddar cheese and mix until melted and well combined. 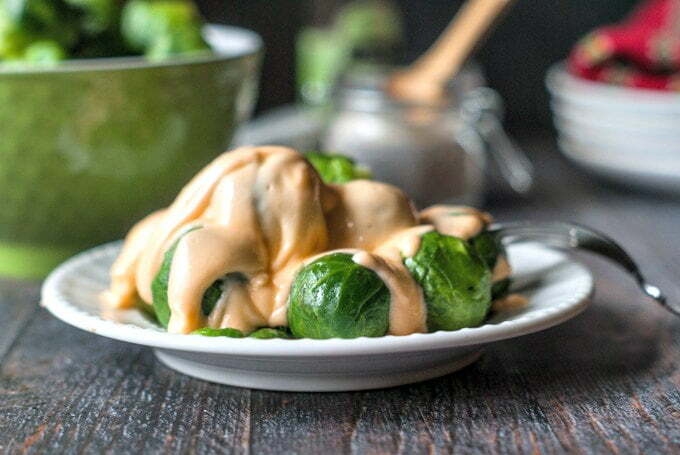 Pour sauce over cooked Brussel sprouts and serve. 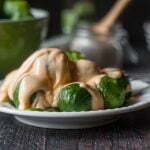 Here are a few more Brussels sprout dishes. Previous Post: « Easy Lentil & Sausage Soup You Can Make in the Instant Pot! My fiancee and I love this recipe. I think we could eat them all on our iwn. 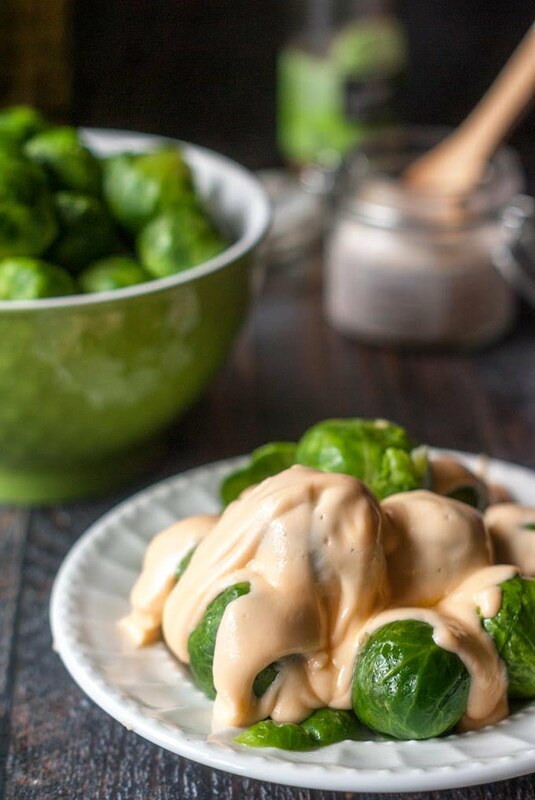 Thank you for an easy low carb cheese sauce. So glad you like it. I need to make this again to see if I can get my son to try some new veggies. Thanks for taking the time to comment!